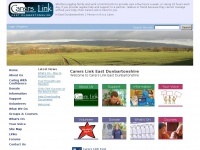 two profiles were found for Carerslink.org.uk in social networks. Among other social networks the website is represented in Twitter and YouTube. The web server with the IP-address 79.170.40.231 used by Carerslink.org.uk is owned by Heart Internet Network and is located in Nottingham, Great Britain. There are many websites run by this web server. The operator uses this server for many hosting clients. In total there are at least 174 websites on this server. The language of these websites is mostly english. The websites were created using the programming language PHP and they are hosted on a Apache server, which runs on the operating system Unix/Linux (Unix). The content management system WordPress in the version 4.9.8 is used. The HTML pages were created with the latest standard HTML 5. Both the inclusion of the website in search engines and follwoing of its hyperlinks is explicitly allowed.